Kitchen Window: Feeding The Hungry Traveler Wandering from airport vendor to airport vendor in search of a meal that's even remotely nutritious can be exhausting -- and, in some airports, completely fruitless. Avoid the food-court shuffle by packing up these sturdy, delicious dishes before you leave home. Get recipes for Quinoa With White Beans And Tahini Sauce, Oatmeal Cookies, Roasted Red Pepper Hummus With Vegetables (above), Beet And Carrot Salad With Sesame Seeds and Gingery Soba Noodles With Peanut-Cilantro Pesto And Asparagus. We've all been there: wandering an airport in the wee hours (or just during a layover) desperately wishing for food options beyond salty, greasy, fatty. Thoughts of fresh fruit and crisp vegetables come to mind with ever-increasing frequency, and it's almost unbearable to have to dig into yet another slice of pizza dripping with oil. I'd give almost anything for a bowl of quinoa -- or just a PB&J on toast. Some of my favorite take-aboard meals include savory grain salads, apple slices dipped in a little container of peanut butter, a deliciously substantial beet and carrot salad, peanuty pesto tossed with soba noodles, and a bit of sweetness in the form of whole-grain cookies or a granola bar. Onboard it's even worse. The food served on planes is typically high in calories and salt and within the U.S. isn't even free anymore. If you have food allergies or dietary restrictions, good luck. As a vegetarian, I once made a meal out of an expensive can of potato chips, wishing all the while for something real. There's a simple solution. Bring your own in-flight -- and in-airport -- nosh. With a little bit of foresight and fairly minimal effort it's easy to avoid unappetizing, often overpriced fare that seems to be mostly wan salads, fried everything and soggy vegetables. The bonus of stuffing your carry-on with your own edibles is the option to eat whatever you want whenever you want. You'll save a few bucks, too. When I travel, I try to make and bring things that are not only what I'd like to eat but which are sturdy and easily packable. Though I must admit I harbor a deep and abiding love for potato chips, I try to snack mostly on homemade trail mix or simply a little bag of raw almonds, knowing my body will thank me later for avoiding the salt. Dehydration is part of the flying experience, and those in-flight snacks, if delicious going down, don't help. Another trick is to make sure your food is fairly compact and not too perishable. Hearty one-serving salads, wraps stuffed with raw or roasted vegetables, little bags of raw almonds and dried fruit, a few squares of dark chocolate all are worthy options. If you bring fresh fruit, wash, peel, slice and generally try to do as much in advance as possible to avoid mess. Of course, there's nothing wrong with taking a sandwich crammed with your favorite things -- cheese and avocado on good bread, perhaps, or a piece of pita stuffed generously with hummus and lettuce. And don't underestimate the power of a good peanut butter sandwich -- whole grain bread, creamy natural peanut butter, a swipe of good jam -- to banish airport food cravings once and for all. Just remember to pack everything in plastic or wrap it in foil; glass containers might not make it through security. If you're only going for a short trip, stash the leftovers from your preflight preparations in the fridge for late-night nibbling when you return. Otherwise, consider portion size and potential appetite carefully (and maybe bring along an extra cookie or two just in case). During a recent layover en route from Maine back to the West Coast, I started craving healthful food -- anything, really, would do. I'd left in a rush and hadn't had time to pack my own lunch. I started thinking about what I would have brought if I could have brought something. Maybe some fresh broccoli doused in a creamy tahini dressing and a scoop of brown rice seasoned just with a little salt and pepper. Or whole wheat noodles with peanut sauce and crisp slices of cucumber. Slices of raw red pepper. 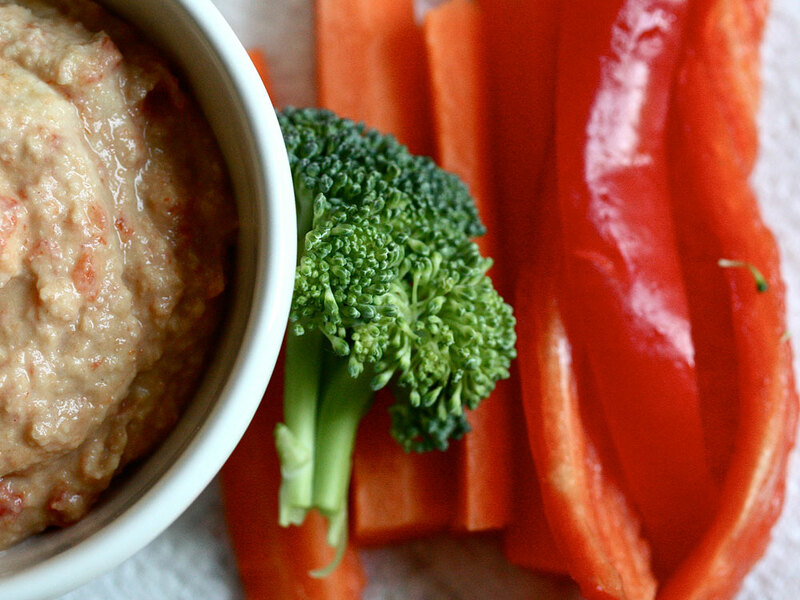 Hummus and carrots. A perfectly ripe apple with that tart crunch. Or a handful of sweet clementines -- much more satisfying than that corn syrup-enriched cranberry juice I'd had on the plane. The Transportation Security Administration website says foods that are wrapped or in containers are allowed but, of course, must go through the X-ray machine. However, many reusable ice packs, which contain fluid or gels, ARE prohibited, so it's best to leave them at home. I've learned -- the product of having the bulk of my extended family and good friends live on the opposite coast, thus necessitating at least a few transcontinental trips a year -- that some airports are better than others. In Minneapolis, for example, I drank the best coffee I've had yet (or maybe it was just that I was so awfully tired?). At Chicago's O'Hare, I can find a decent smoothie if I'm desperate. And San Francisco offers one of the best chocolate cakes you'll ever eat. But like the mythical dining halls I used to hear about in college that served the tastiest, the best, the most organic and vegetarian-friendly meals (UC Santa Cruz was always described in particularly glowing terms, though I never got to experience it), I've yet to find the airport that has it all. Until then, I'll bring my own. If possible, use black or red quinoa, available at most health food stores. It cooks up firmer than its paler cousin, thus making it a better option for travel. In a medium pot, bring the quinoa and water to a boil. Reduce heat and simmer until water is absorbed and quinoa is tender but still a bit crunchy. Meanwhile, in a frying pan over medium heat, heat the olive oil and add the mushrooms. Saute the mushrooms until just tender but not too limp. Add the white beans and the 2 tablespoons of water. Add salt and pepper to taste. 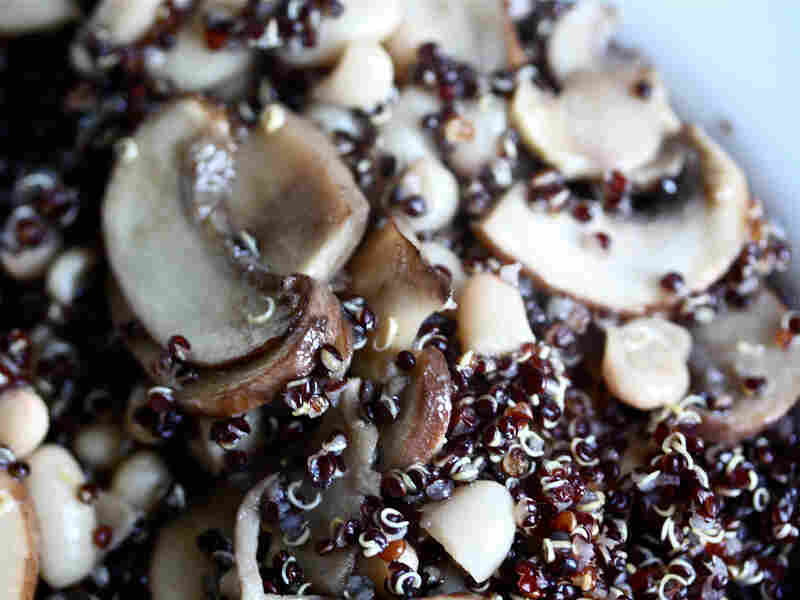 When the quinoa is cooked, mix it with the mushrooms and white beans. For the sauce, whisk the tahini with the garlic, lemon juice and salt. Add a bit of water until the sauce reaches your desired consistency. Mix in the dressing or take it in a separate container and dress the quinoa on the fly. 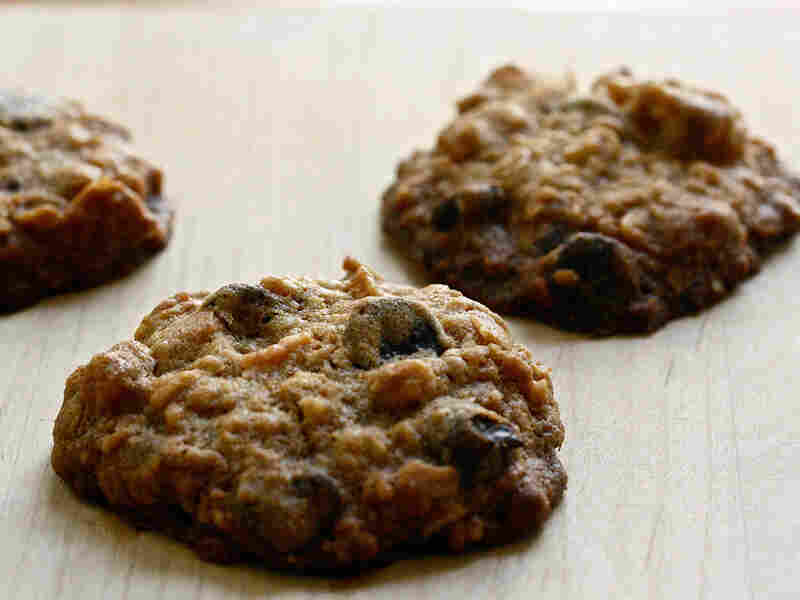 I always need something sweet when traveling, and have incorporated whole-wheat flour and dried apricots into a standard favorite cookie recipe to up its nutritional benefits. The dough freezes well, and will keep for up to 1 month. Preheat oven to 350 degrees. In a large bowl, cream butter, brown sugar and white sugar. Add egg and vanilla and mix thoroughly. Combine the flours, baking soda, baking powder, salt and cinnamon and stir into creamed mixture. Add the oats, walnuts, apricots, chocolate chips and coconut if using, and stir until well blended. Drop by teaspoonfuls onto a greased cookie sheet. Bake for 15 minutes until lightly browned. 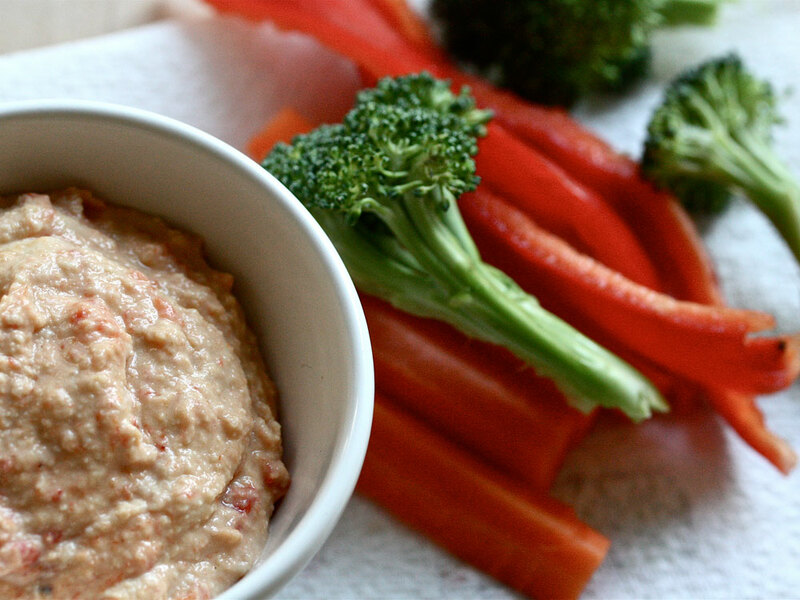 This is one of my standards -- delicious and quick to prepare, hummus is a staple for me on and off the airplane. Eat with a variety of raw vegetables such as carrots, red pepper, broccoli and cauliflower, as well as wedges of whole-wheat pita bread. For The Peppers: Heat oven to broil. Place the peppers on a cookie sheet, skin side up, and broil until skin bubbles and is slightly charred, 15 to 20 minutes. Remove from oven and let cool. Then coarsely chop. For The Hummus: In a food processor, finely chop the garlic. 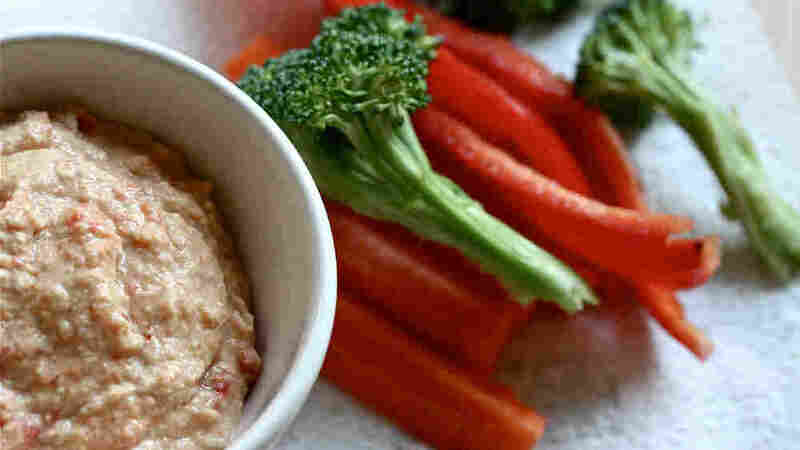 Add the chickpeas and tahini, and puree well to combine. Add the salt and lemon juice, and a few tablespoons of warm water for consistency. Add the chopped roasted red pepper. Taste and add more lemon juice or salt if needed. Add more water if you prefer a thinner hummus. When freshly juiced vegetables aren't available, this surprisingly addictive grated beet and carrot salad will leave you feeling refreshed, even on the red-eye. It's also quite sturdy and holds up well in transit. 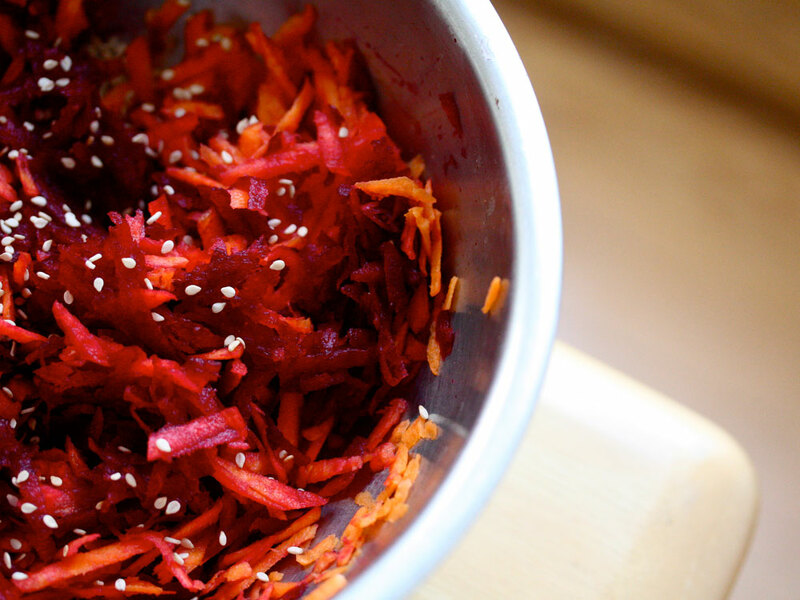 Grate the carrots and beet into a medium-sized bowl. Add the lemon juice and olive oil and stir well to mix and coat. Add the sesame seeds. Add salt and pepper to taste. Soba noodles and tender asparagus provide a solid and transportable base for the lemony sauce -- a riff on traditional pesto, with peanuts swapped in for pine nuts, and the cheese eliminated. In a small food processor, pulse the peanuts and garlic until finely ground. Add the cilantro, lemon juice and salt and process to a paste. Add the olive oil and pulse once or twice to just combine. Taste and, if needed, add a little more olive oil or lemon juice for consistency. Bring a large pot of water to a boil and boil the soba noodles per package instructions. During the last 2 minutes of cooking, add the asparagus. Drain noodles and asparagus, run under cold water for about a minute to stop cooking, and set aside. 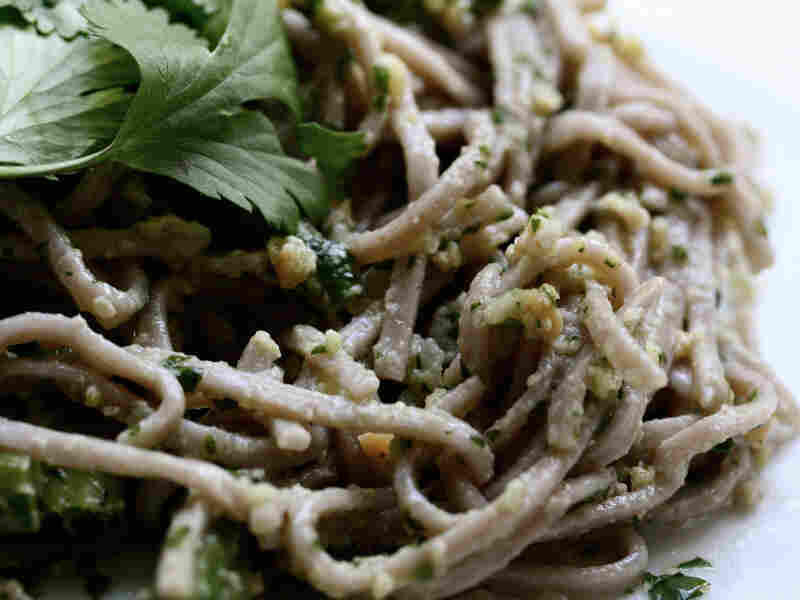 Gently toss the noodles with the cilantro pesto, asparagus, ginger, spring onions and crushed peanuts if using.